In this town we like to complain – prices are high, Downtown has lost its edge, and so on. 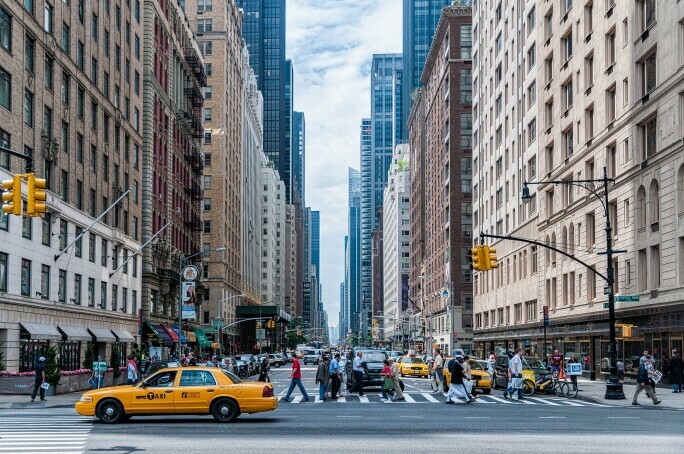 And yet: New York City remains the world’s most exciting hub of the arts, with the densest concentration of museums and galleries, and alternative scenes that, indeed, have fanned out into the boroughs – which makes them all the more interesting to visit. T he flagship museums in Manhattan continue to organise some of the world’s most important exhibitions, while a massive network of smaller museums, galleries, and artist spaces speaks to New York’s unmatched cultural diversity – a polyglot, cosmopolitan city, deeply shaped by immigration, and that stands as an antidote to the nativism in the air in American and global politics. The offerings are so rich that by force, any shortlist is highly opinionated. Come explore, and stay as long as you can. It’s worth it. Brooklyn Museum. Photo: JongHeon Martin Kim. When the big Manhattan museums are overrun with weekend crowds, the Brooklyn Museum is calm and a delight to visit. Its encyclopedic collection is serious, and its programming is contemporary and progressive, with close attention to US and world social issues. It is also an important centre for feminist art. 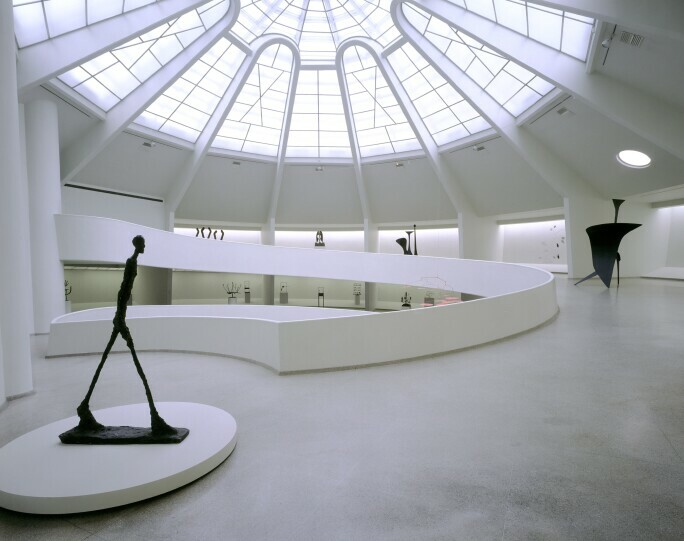 Installation view of Picasso and the Age of Iron at the Guggenheim Museum, 1993. Photo: David M. Heald, © SRGF, New York. The extraordinary design by Frank Lloyd Wright, with its signature spiral ramp connecting the galleries, is a draw on its own. But the Guggenheim stays current with landmark shows such as, recently, surveys of Agnes Martin, Hilma af Klint, Italian Futurism and Chinese contemporary art. El Museo del Barrio. Photo: Corrado Serra, 2014. The country’s first museum of Latino/a art and culture, El Museo, as it’s known, has just had a major renovation. 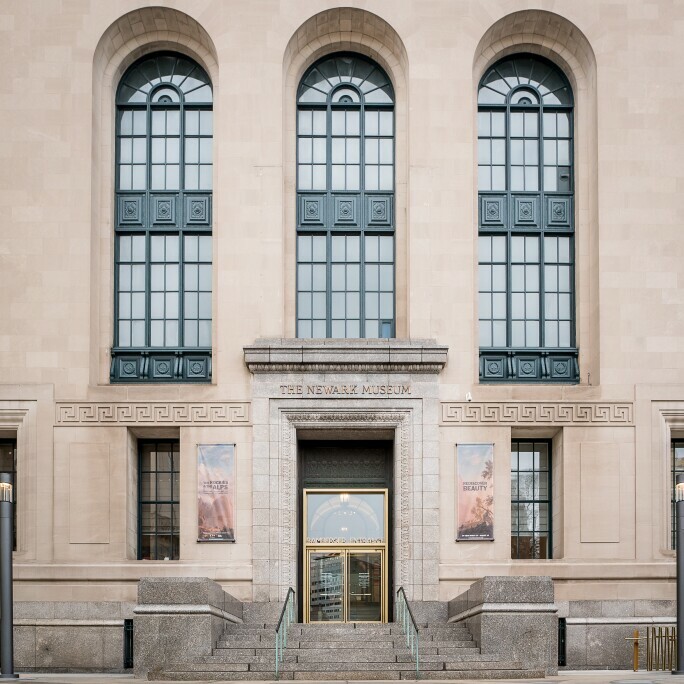 Its collection and exhibitions are a crucial route into some of the country’s most important artistic scenes. The restaurant and bar are good, too. 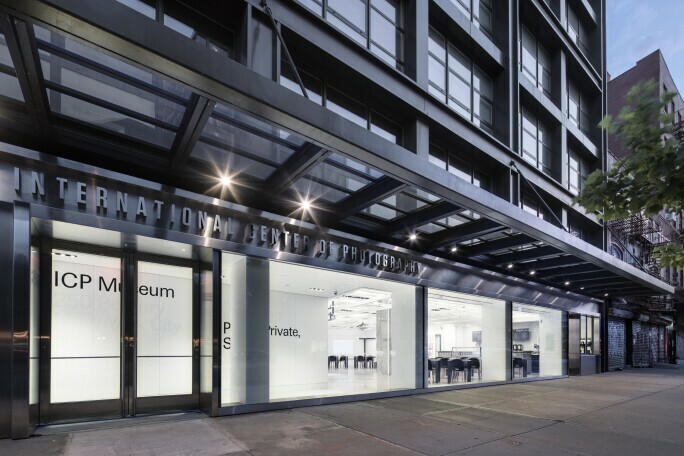 International Center of Photography Museum at 250 Bowery. Photo: Saul Metnick for ICP. 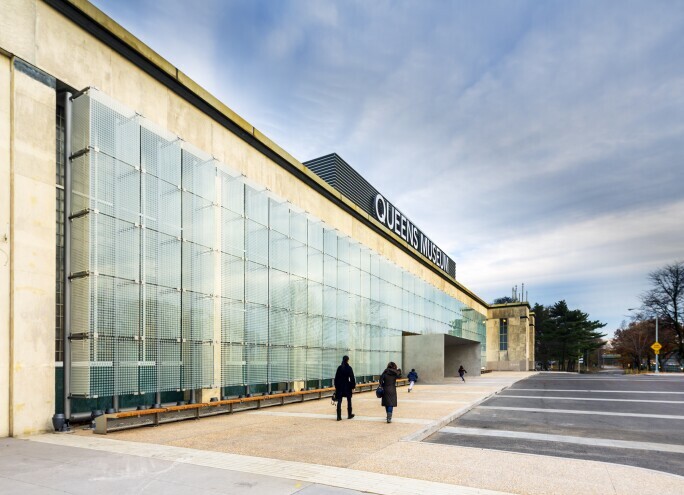 The museum of the International Center of Photography is an important hub in the field, with recent shows having spanned a Magnum Photos retrospective, the Japanese-American internment camps of World War II and Edmund Clark’s War on Terror photo-based installations. 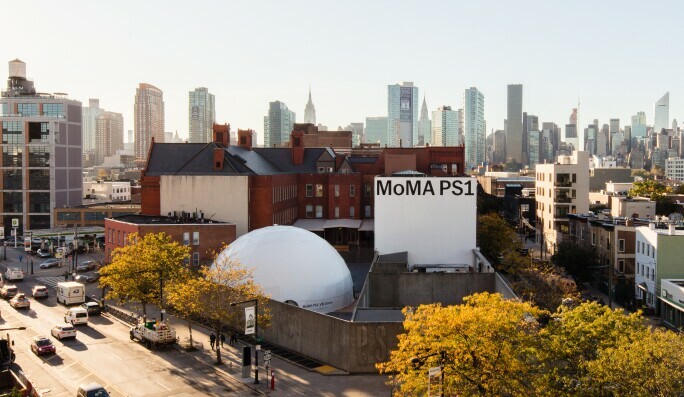 MoMA PS1 in Queens, New York. Image courtesy MoMA PS1. Photo: Pablo Enriquez. In Long Island City – a confusingly named part of Queens that’s actually right across from Manhattan – PS1 proposes MoMA’s edgier and more experimental exhibition fare in a sprawling former school with a big courtyard that, in the summer, hosts some of the city’s best dance parties. The exterior of the Newark Museum. Photo: Mike Peters, courtesy of the Newark Museum. The biggest city in New Jersey, Newark is only 25 minutes from Manhattan on the PATH train, but an entirely different world. Now emerging from economic struggles, it is home to a deep African-American cultural history, plus a host of alternative artist spaces. 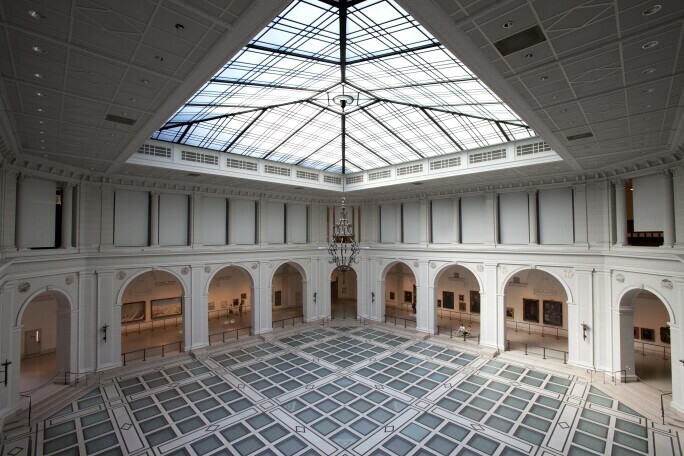 The venerable Newark Museum is getting a makeover, including a boost to its contemporary programs, and makes a great anchor for a day exploring the city. Exterior of Queens Museum. Architect: Grimshaw Architects. Photo: David Sundberg, Esto. Courtesy Queens Museum. It is known for the Panorama, a scale model of New York City created with breathtaking precision. 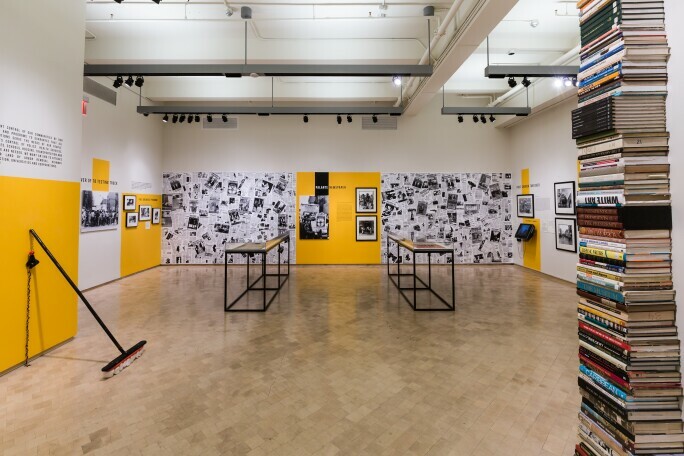 But the Queens Museum is also a world leader in high-quality programming that is responsive to an economically diverse, multi-lingual community, with the Queens International biennial a particular highlight. The new home of the Whitney Museum, designed by Renzo Piano. Photo: Karin Jobst © 2016. By now the Whitney is well-ensconced in its new downtown digs, designed by Renzo Piano and completed in 2015. 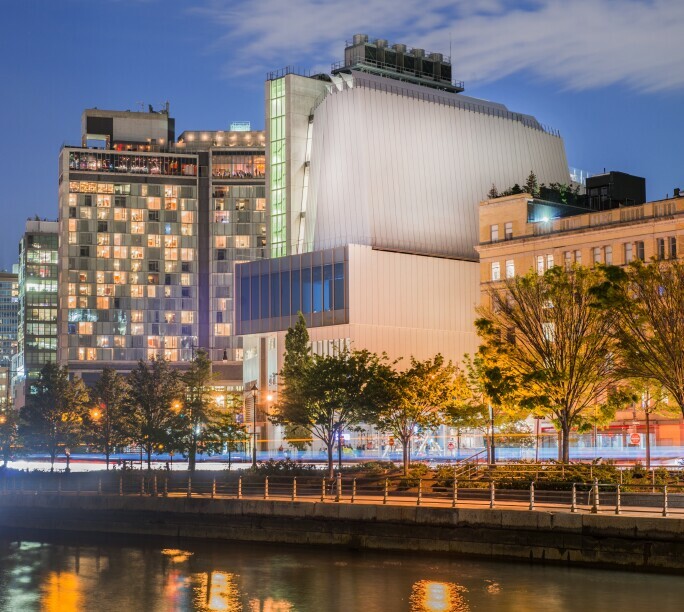 Supplementing the leading collection of American modern and contemporary art is the Whitney Biennial, influential and controversy-prone as always, and the terraces with their city views. 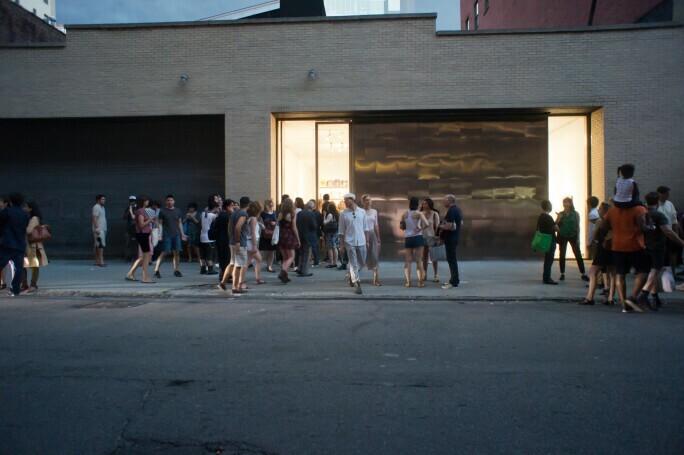 Art lovers in the trendy West Chelsea art gallery district. Photo: Richard Levine / Alamy Stock Photo. For the last decade the flagship art district has been far-west Chelsea, the old warehouses of which now host several hundred galleries, from behemoths like Lehmann Maupin and Hauser & Wirth to specialists in every medium, period, and subject. Pick a few, then see where your eye drifts along the way. 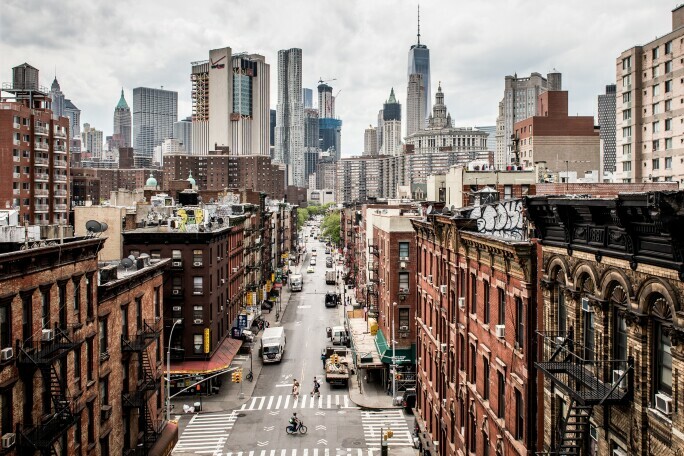 The Bushwick neighborhood in Brooklyn, New York City. Photo: Patrick Batchelder / Alamy Stock Photo. Artists began moving into the industrial Bushwick in Brooklyn two decades ago; it’s now a humming art district where big Manhattan players such as Luhring Augustine are setting up outposts amid the alternative galleries and artist-run spaces. 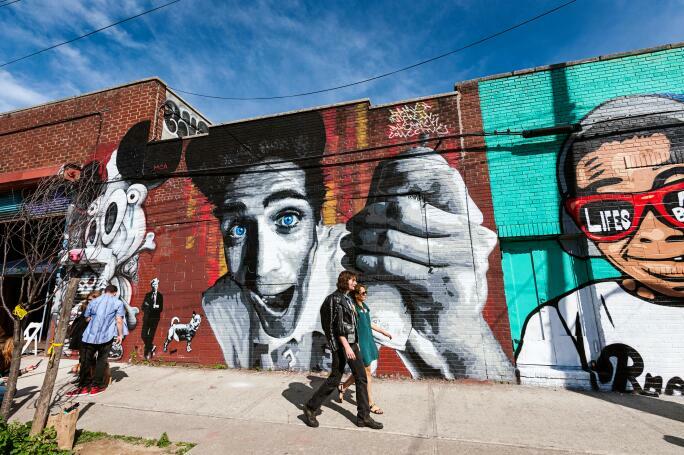 Bushwick Open Studios, held in September, is expansive and enthralling. Delicious food served The Red Rooster. Photo: Katie Burton. 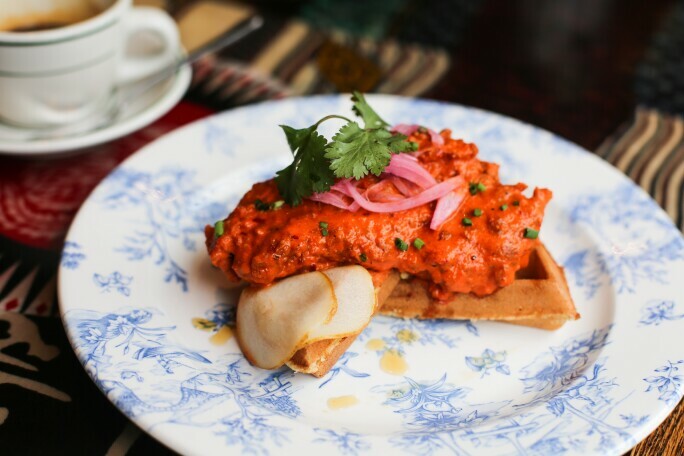 Ethiopian-Swedish celebrity chef Marcus Samuelsson opened his upscale-soul food spot in 2010, and the restaurant has buzzed ever since with the energies of a constantly changing, but always creative Harlem. The front bar is great too – and also Ginny’s Supper Club downstairs, which features live music. With its busy front bar, comfortable back room, and classic menu of French and North African bistrot fare, Bar Six still draws the writer and artist crowd that makes it a survivor of the old Greenwich Village, but in no way a relic. This cute tapas bar, which opens onto the street in warm weather, is perfectly situated for replenishing on boquerones, pulpo, and interesting Spanish wines at reasonable prices after a Chelsea gallery crawl. Top of The Standard Bar. Photo: Adrian Gaut. The cocktails aren’t cheap, but the plush setting, beautiful crowd, and fabulous city views make Top of The Standard a crucial stop, perfectly located off the High Line between the Whitney Museum and the Chelsea galleries. This establishment on the Smith Street restaurant row in Carroll Gardens finds a nice balance with highly crafted mixologist libations in a casual, unpretentious setting. An excellent place to conclude an afternoon of Brooklyn wanderings. 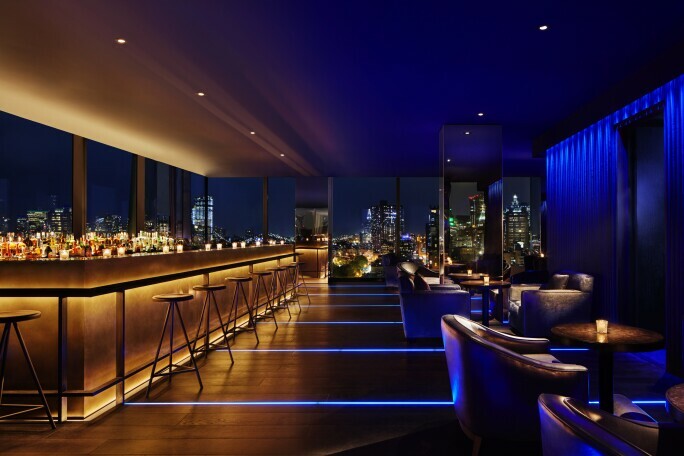 The Roof Bar at PUBLIC Hotel. Photo: Nikolas Koenig. 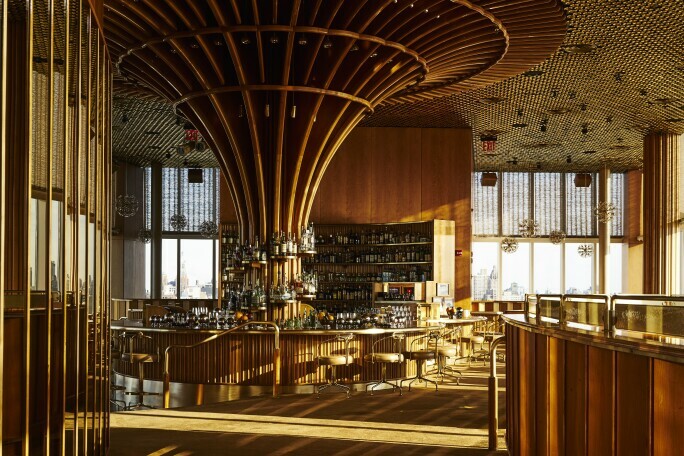 The latest venture from celebrity hotelier Ian Schrager is a sleek, friendly mammoth on the Lower East Side, where a signature bank of gold-lit escalators provides a glamorous entrance into a refreshingly serene space. For high-standard rooms on a budget, the solution is downtown Brooklyn, where a host of clean, comfortable hotels have sprouted with rooms in the $200-per-night range, including this reliable choice in well-located Boerum Hill. We have to be honest: the subway is a mess these days, the result of decades of deferred maintenance. It’s still the best way to get around the city, and almost the only way at rush hour. Go to mta.org or a beloved transportation app, like the comprehensive Citymapper, to make the ride easier and to navigate weekend and night diversions. Otherwise, the ubiquitous yellow cabs are still a good option; for ride services, consider alternatives to Uber and Lyft, such as Juno, which drivers like because they get a better cut, and Via, which offers shared rides at unbeatable prices. In the less hectic areas, the blue Citi Bike bicycles are a good option. Most enjoyable of all, though, is walking. Wear sturdy shoes and get lost in this dense and always stimulating city.